In part three of a three-part series, Episode 72 discusses what collagen supplementation can do for you. 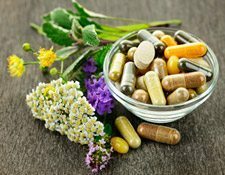 In part one, Dr. Larson discussed how the popularity of collagen supplement has exploded, and that has led to fly by night companies churning out low-quality collagen supplements. The best way to find a high-quality supplement is to look for one that has a variety of “sources”. If you only have one or two sources, then you are going to be limited in what it can do for you. Having different sources means that it comprises different collagen “types”. Collagen has a number of different types, type one (I), two (II), three (III), five (V) and ten (X), with each type performing a different function in the body. So, the more types you have, the more the supplement is going to help you. Perfect Collagen™ stands apart from other collagen products by providing additional collagen peptides that go beyond supporting beautiful skin by providing extra key amino acids that build & improve bone and joint structures like cartilage, tendons, and ligaments. 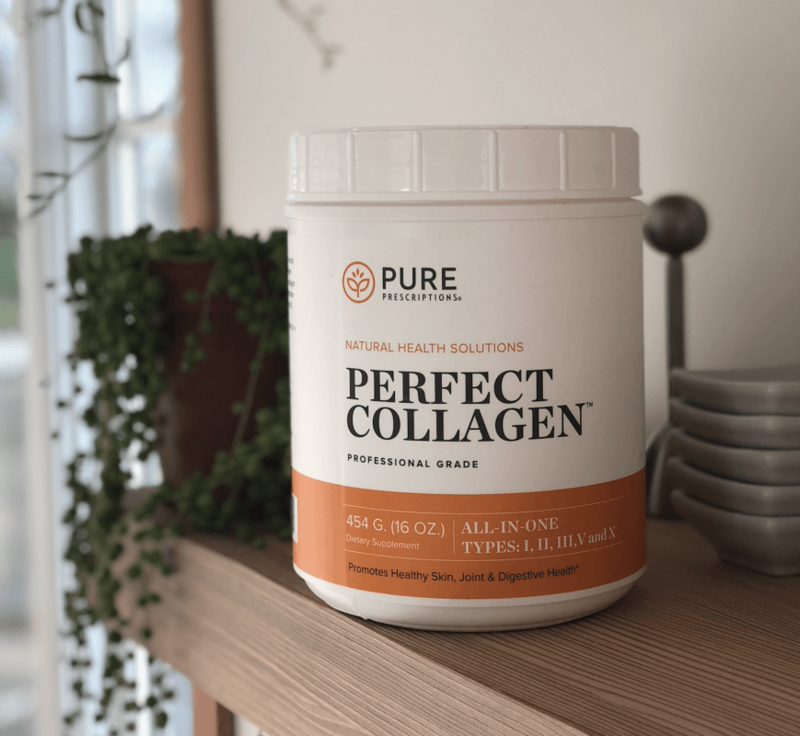 Dr. Larson uses Pure Prescription’s Perfect Collagen, which has the highest number of sources that he has found, five, and he has found great success with it helping to overcome his functional knee pain. As important as how many sources a supplement has, it is also critical to know the quality of the sources themselves. 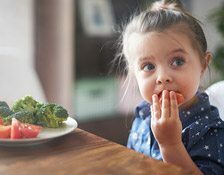 Look for a supplement that states the environment that the supplement comes from. For instance, look for bovine collagen that is grass fed, or egg collagen that comes from cage-free chickens. 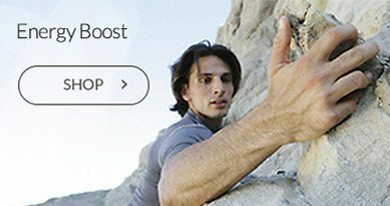 If the supplement doesn’t specify, then it is probably not a quality source, or the supplement company would be bragging in their advertising. Collagen supplementation works because it supplies the body with a broad spectrum of amino acids, which work therapeutically in the body. There is evidence to suggest that collagen supplementation can help with a condition called hyperpermeability of the gastrointestinal barrier, or leaky gut. Leaky gut leads to a breakdown in the integrity of the gut barrier. The amino acids found in collagen is an excellent way to repair a compromised gut barrier. Collagen can also be helpful for bone support. Certain populations like adolescents, or the elderly, can benefit from supplementation. It helps to fight osteoporosis, and if you have a broken bone, taking collagen will help to expedite the healing process. Muscles also require a certain level of amino acids. When you work out, you create micro-tears in the muscles. Since amino acids are necessary for repair, if you have a muscle tear or injury, the amino acids found in collagen can speed up recovery time. The articular surfaces of joints, which is where the joint meets with bones and is surrounded by cartilage and connective tissue like ligaments and tendons, can be supported by taking collagen. Supplementation can supply the necessary building blocks to maintain the integrity and to support healing of joints, bones, and muscles. Collagen is also beneficial for hair, skin, and nails. It also aids basic organ systems like the stomach and liver, because collagen surrounds them and maintains their integrity. By supplementing with collagen, you give your organs just a little more support to stay strong and healthy. So, collagen is a worthwhile supplement to add to your daily routine. If you are going to take it, make sure that it has multiple sources, and that they are quality sources. 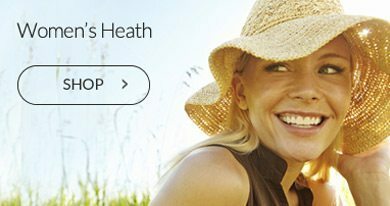 It is better to spend the additional money to get a quality collagen supplement. Otherwise, taking it will provide you with minimal benefit. This entry was posted in Collagen, Dr. Chad Larson, Keep It Real and tagged bone support, Collagen, joint pain.